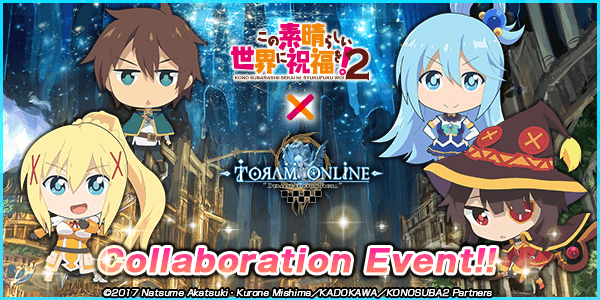 "KonoSuba2: God's Blessing on This Wonderful World!2" and "Toram Online" Collaboration Event is BACK! Toram Online's Collaboration Event with the popular TV animation: "KonoSuba2: God's Blessing on This Wonderful World!2" will be BACK once again after the maintenance on 01/24/2019! Featuring avatars modeled after the costumes the characters wear in "KonoSuba2", this is a special limited-period content that will also enable you to use the characters' special moves! Take this opportunity to experience the life in another world like "KonoSuba2" once again in the world of Toram Online! *Some events and promotions end on different dates. Please check the details from each official announcements of the events. Collaboration Returns Avatar Chest!! Transform into KonoSuba2's characters?! Avatar Chest containing the costumes worn by the characters in "KonoSuba2" will be available for a limited period of time! 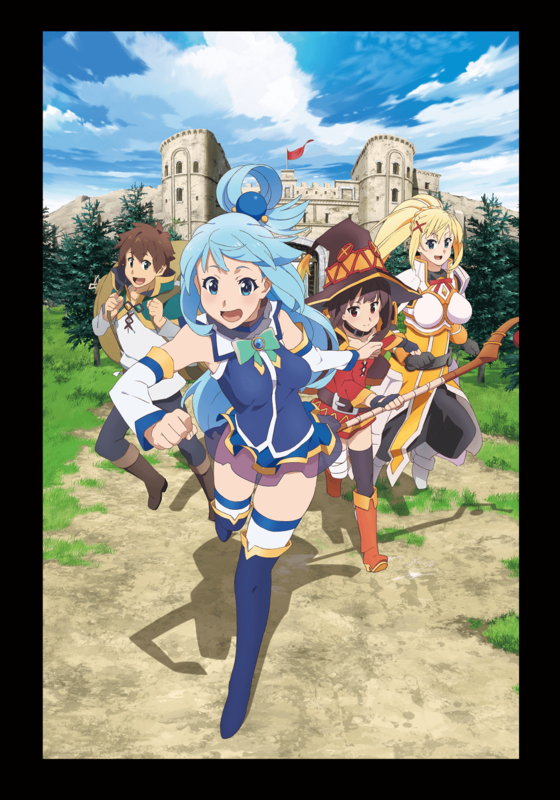 The items are recommended to not only the fans of "KonoSuba2", but also all adventurers as they are super unique and gorgeous! Please refer to "this news" for more details on the collaboration avatar chest. Collaboration Event Celebration! Special Skills are Out! 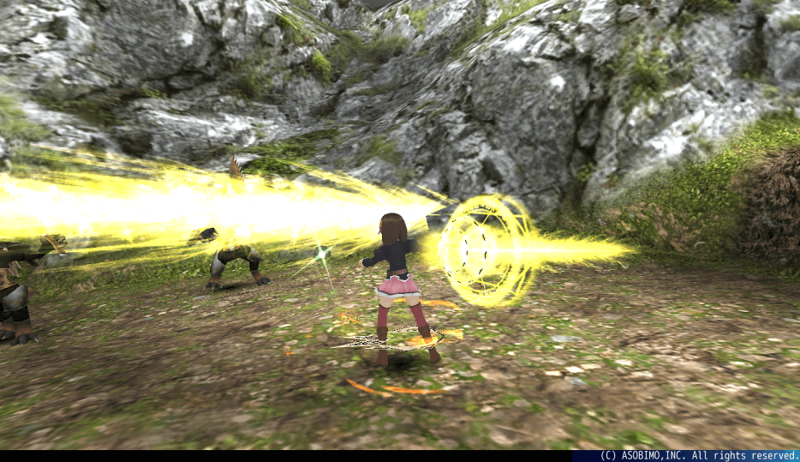 You can use the special moves that "Megumin" and "Yunyun" use in the story! Equip the required avatars and tap Menu > Settings > Shortcuts > The icon to set a shortcut, and tap "Avatar Skills" to use them! Please refer to the following for the details of the skills. You can use this skill while equipping either "Megumin's Garb (T)", "Megumin's Garb (B)", "Witch Hat&Eyepatch" or "Megumin's Hairstyle". Although it consumes all MP and you will become "Stun" after using it, it is a powerful magic attack that deals damage to enemies within a wide range. 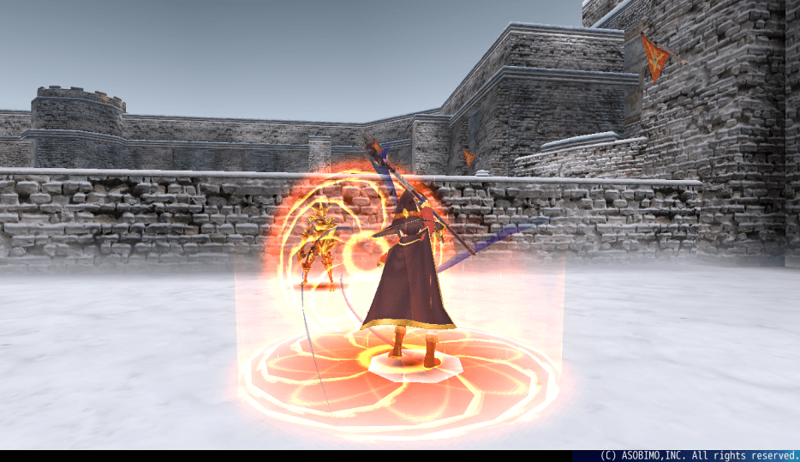 During the collaboration period, the damage dealt and the attack range will be over 3 times greater than the usual. *The max MP Cost is "2000". You can use this skill while equipping either "Yunyun's Garb (T)", "Yunyun's Garb (B)", or "Yunyun's Hairstyle". It's a powerful magic attack that deals damage to the enemies ahead of you. Moreover, the fewer the party members, the greater the damage dealt. During the collaboration period, the damage dealt will be over 2 times greater than the usual. *Collaboration avatars "Yunyun's Garb (T)", "Yunyun's Garb (B)", and "Yunyun's Hairstyle" can be obtained from the 2nd Edition of the Avatar Chest that will be available for sale on a later date. *In order to set avatar skills on shortcut, you are required to equip one of the items that enable you to use avatar skills on "Avatar Accessory". *Avatar Skills are unavailable for Combo. *Avatar Skills will be available even after the collaboration ends as long as you meet the required conditions. Collaboration Event! Special Login Bonus Gifts!! Get Handy items or "Orb Shard" simply by logging in or playing the game! Don't miss it and enjoy playing Toram Online! *If you collect 100 Orb Shards, you can create 1 Orb at the Orb Shop. The Orbs you created from the Orb Shards can only be used on the same platform (iOS or Android) you created them. *You can receive the rewards by tapping the icon at the top left of the screen when you meet the conditions. Retweet Bomb Campaign! Get the Gorgeous In-Game Items! To celebrate the collaboration, Special Retweet Campaign will be held! Gorgeous in-game items will be given out according to the number of times the tweet we specify gets retweeted during the campaign period. Please refer to "this news" for more details on the campaign. The rewards are scheduled to be sent in early February 2019. What is "KonoSuba2: God's Blessing on this Wonderful World!2" ? Kazuma is a shut-in otaku gamer who runs into an unforeseen (?) incident on a rare outing. When he comes to, what lays before him is the world after death. After being thoroughly berated by for his unfortunate demise by a bad-mouthed goddess called Aqua, he is forced to decide between going to heaven or being run down by the demon army and reincarnated into a different world with a decreasing population. Following his gamer intuition, of course he choses reincarnation in a different world! And as a privilege for going to this different world, the one "thing" he choses to bring is, "Hm, you." So this is the beginning of a different world adventure with a shut-in otaku gamer and a no-good Goddess...!? The TV Anime official site is here!